Plus, he's been a commie clown for ever. According to Castro, there have been more than nine attempts by the United States's CIA and associated US intelligence services to assassinate him. 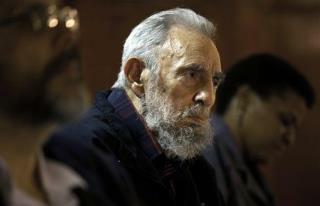 Castro will go in his own time, at his own pace to meet his maker. The Russians took out even the missles the US did not find. Castro wanted to keep them. The Russians didn't trust him so they took them all out. Apparently they considered him a bit on the obsessed maybe possesed side. Extraordinary all the same. The doves loved him.